The Disney Dream is full of entertainment experiences that will amaze and inspire. These are the experiences that will make you fall in love with the Disney Cruise Line. Cruising the Bahamas in Disney style sounds like a dream come true. I know it was a dream come true for my family. Maybe that’s why one of the cruise ships has been dubbed the Disney Dream. 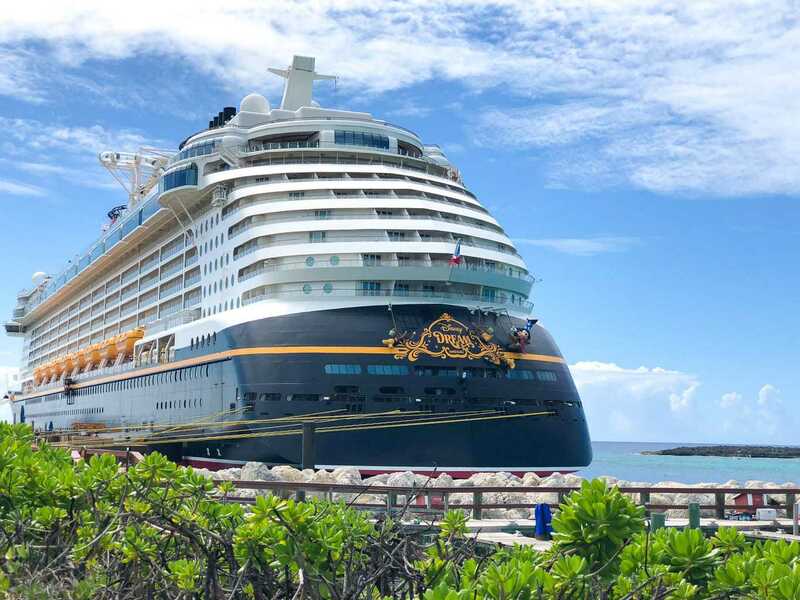 A Bahamian Cruise on the Disney Dream even includes a visit to Castaway Cay, Disney’s own private island reserved exclusively for Disney Cruise passengers. If the tropical island paradise or Disney’s signature entertainment and world-class service aren’t enough to excite. 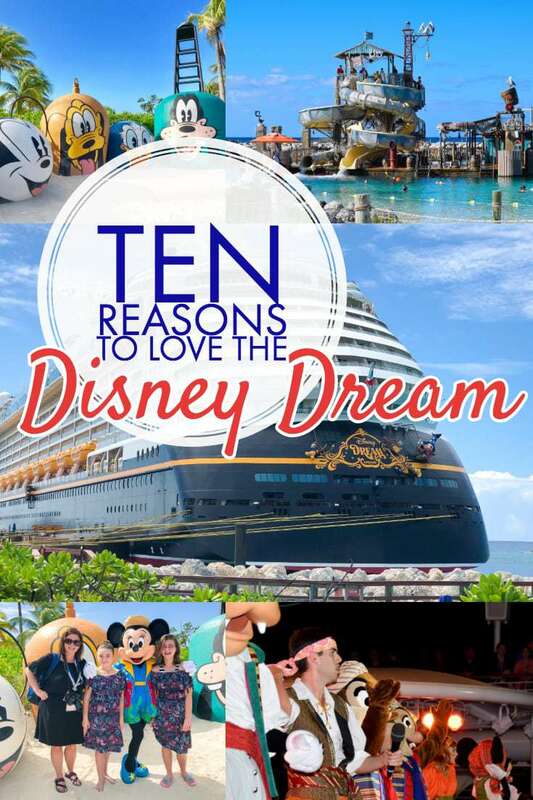 Here are ten reasons why you will absolutely adore the Disney Dream. Gaming stations around the room offer group and individual experiences. The Disney Infinity Challenge is Exclusive to gamers on the Disney Dream. Other awesome virtual experiences are the Archery Challenge and How to Draw Disney Characters. Even adults can’t resist playing around with the set pieces and interacting with R2-D2 on the Millennium Falcon. This is one of my favorite lands just for how detailed it is, plus it’s Star Wars. Not only that, but it’s one of the most iconic spaceships in movie history. Scenes from the original Star Tours rush passed the cockpit as guests pretend to be Han and Chewy. 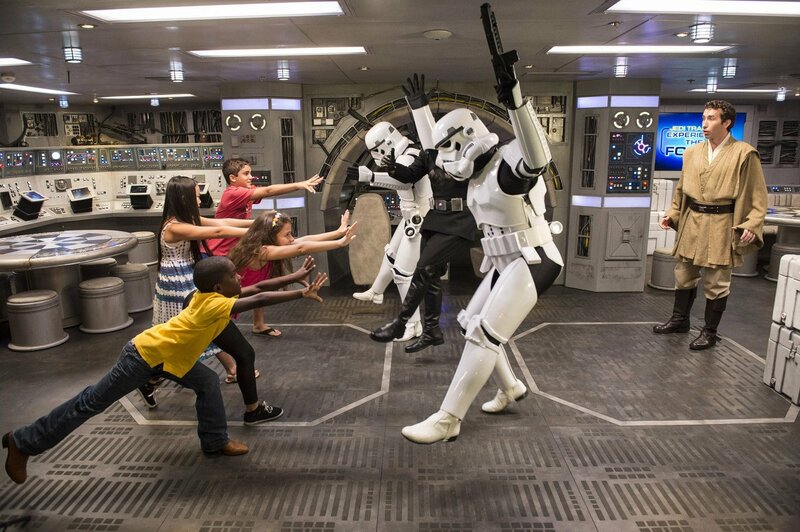 There is even a Star Wars Saga staging where kids are invited to play the characters. Other awesome experiences here are Galaxy Designers, which allows kids to virtually build a Star Wars spacecraft, and with Jedi Training: Experience the Force, kids are trained in various techniques of the force before warding off Stormtroopers. A lot of people don’t know but you can meet and interact with a lot of your favorite Disney Characters on the Disney Dream and other Disney Cruises. In the Oceaneer Club alone kids can discover the art of bookmaking, Dance with Lilo and Stitch. Even the youngest Oceaneers and their families can play games with Mickey and friends. Also, Professor Make O Mess– a zany scientist kids love– teaches “super sloppy science” in a Lab where kids can make their very own Flubber. 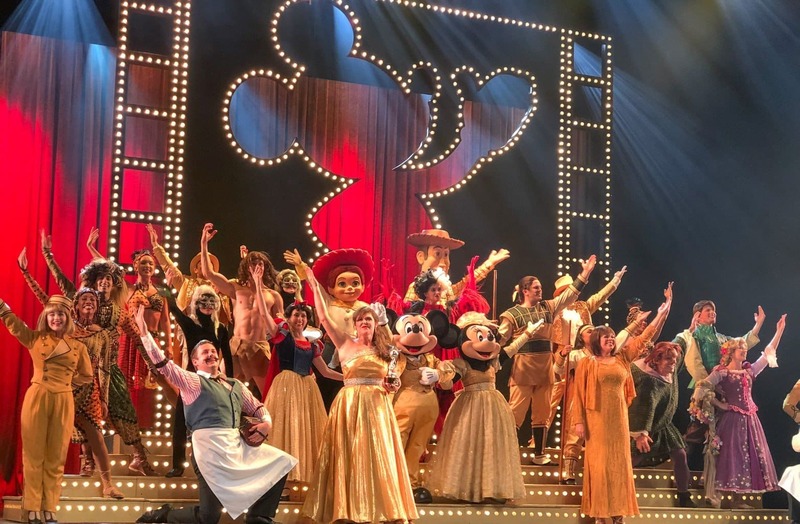 The Disney Dream creates fun and immersion for families to enjoy together, but what’s really great is the cruise liner’s focus on age-specific entertainment. Edge is specifically for kids aged 11-14. It’s a smaller lounge than Vibe, with a colorful illuminated dance floor, gaming and listening stations for music. It’s biggest feature is a room dedicated to Nintendo Wii play. 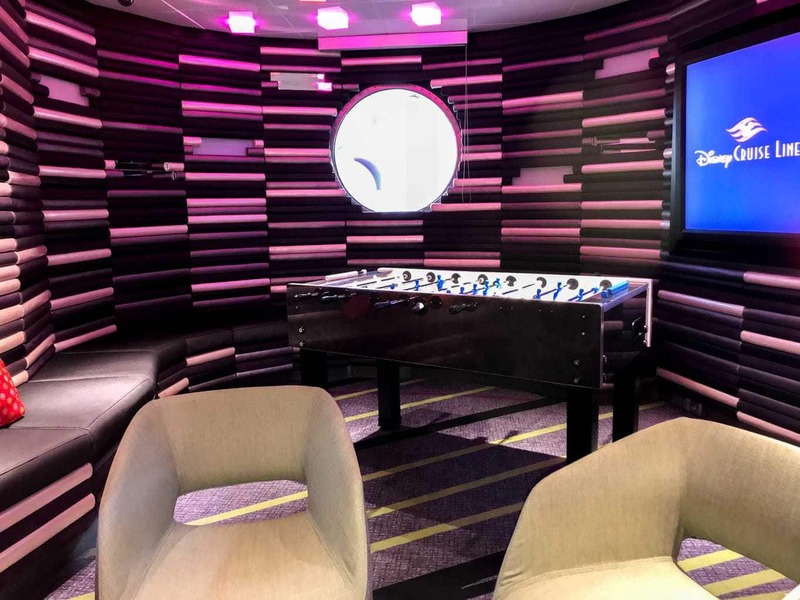 Both Lounges strike an excellent tone with their target audience and add appeal to the cruise for guest that might otherwise feel unrepresented. As it is, the two hangouts are massively fun ways to power down or socialize. Vibe is an exclusive teen club. It’s specifically catered to teens age 14-17 and is very expansive. Teen guests can hang out, watch tv, or whatever. You know, teen stuff. The club has karaoke contests and dance parties and gives teens a private entrance that they need a coded card to access the lounge. The Skyline is an Adults Only martini cocktail lounge located in a district known as The District. Skyline provides a view with a surprising twist. Well, not surprising if you know the name, but who expects to look outside from a cruise ship and see stunning old world skylines? This technological feat in imagineering is part Soarin’, and part World Showcase with sweeping panoramic “windows to the world.” Get stunning views of London, Barcelona, Hong Kong and New York, while enjoying handcrafted cocktails inspired by famous cities across the globe. 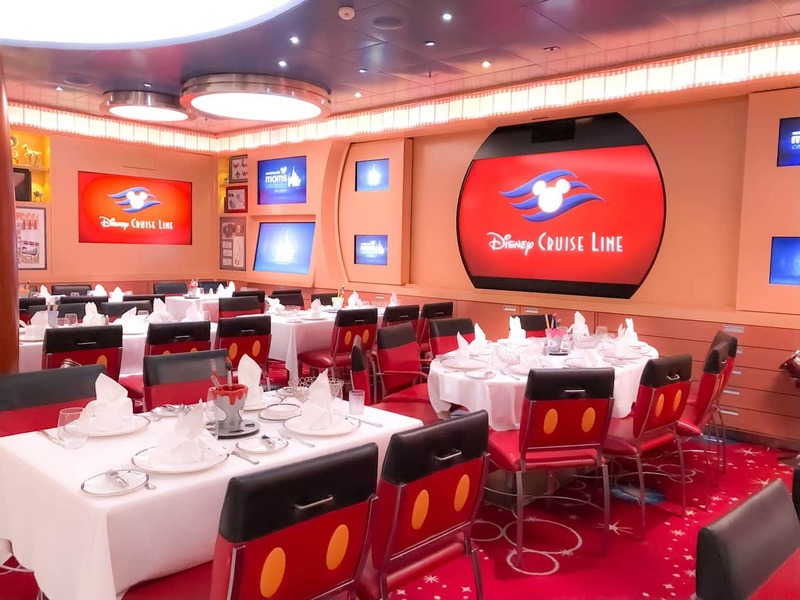 The Disney Dream has lots of really fun, innovative and entertaining dining experiences you won’t believe. 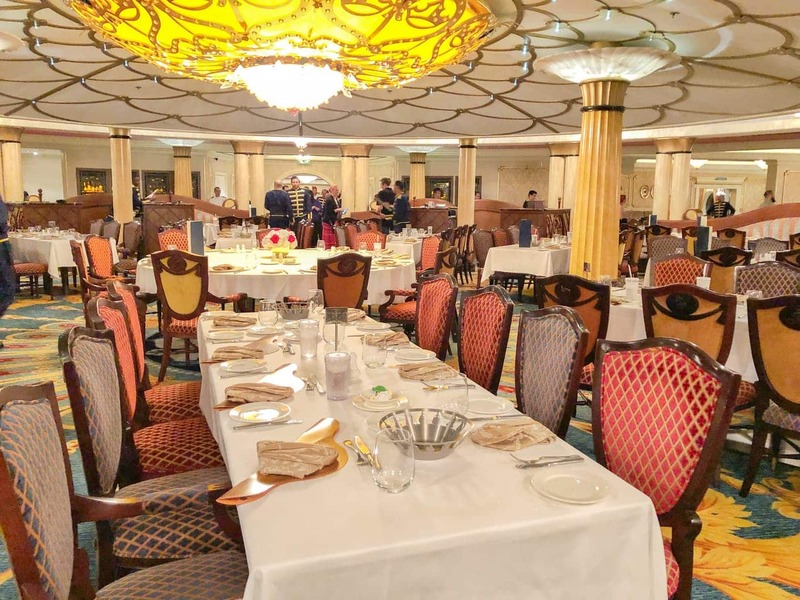 These unique dining experiences are some of my favorite features of this cruise ship. 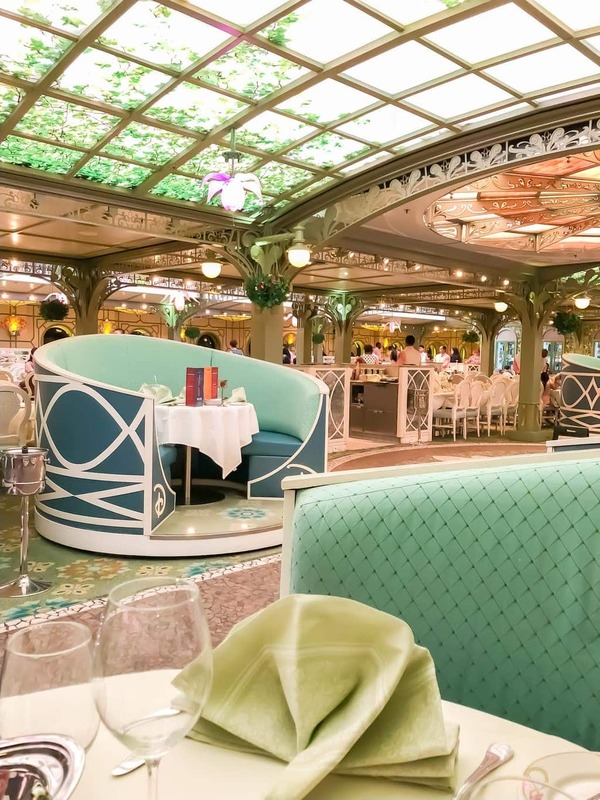 There are three main restaurants which are included in your Disney Cruise, and for dinner you will rotate each night. This fun and vibrant tribute to animation features an ambience filled with the various tools of the trade. This state-of-the-art dining experience features the interactive and immersive show Undersea Magic in which digital puppets of your favorite Finding Nemo Characters come out to play. It’s not just the theming and the entertainment that sells Animator’s Palate. The artists of California, Asia, and Pacific Island cuisine constructed very fine dishes to enjoy. Don’t pass up on an opportunity to dine and taste flavors from all over the world. The ambiance and decor make you feel as though you just stepped directly into the foothills of France and your taste buds are certain to love the varied breakfast, lunch and dinner options that only the Enchanted Garden can bring. Looking for a feast that is great for a King, Queen, Prince or Princess? You won’t want to miss dining in class and comfort at the Royal Palace. From the moment that you arrive, it’s like you’ve entered your own magical fairytale. Only this time, you get to be part of each and every scene! The AquaDuck is more than a water slide. It’s a 46′ high imagineered water coaster that wraps around overhead and starts on the highest deck of the ship. It has a max speed of 14 mph, so it isn’t super fast, but it does extend over the deck and suspend passengers 150 ft. above the water. The AquaDuck is named for the theming which incorporates Donald and his nefarious Nephews. One of the best aspects of taking a Disney cruise is that there is daily live shows and entertainment. Get ready to be in awe of the performances that you’ll be engrossed with during your cruise. Every show will have you clapping to the beat and singing along with some of your favorite Disney songs! Pirate Night is a fun night which includes dinner and a deck party. You must come dressed for this special occasion. 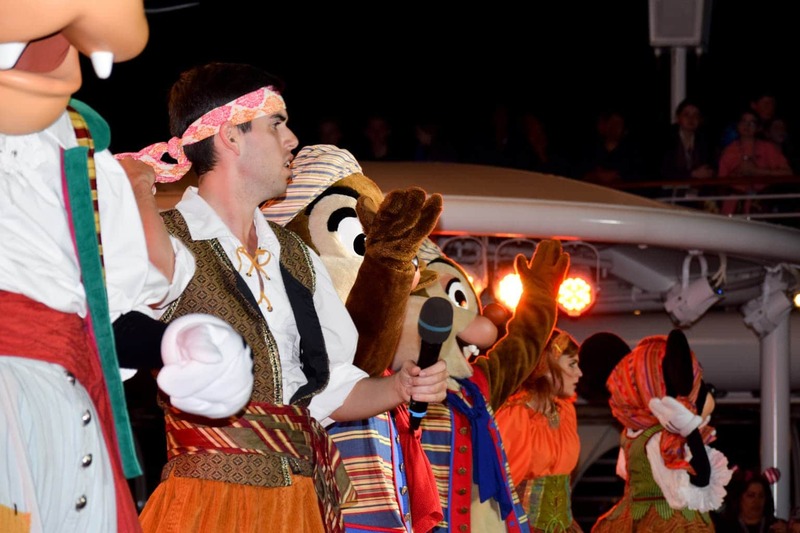 All hands on deck as you dance away through the evening with Mickey, Minnie, and all your Disney friends and ends with a spectacular fireworks show. I love that Wreck-It Ralph has a presence on the Disney Dream. Besides the eye candy, this is an incredible location for satisfying your sweet tooth. This place has ice cream, gelato, candy and other sweet treats that Disney is known for. There is even a Vanellope’s Go-Kart Sundae that comes in a souvenir Go-Kart. I love that this is here, and of course, there are themed interactive elements to entertain and delight while you shop around. I also love that the shop was fittingly converted from an arcade that formerly occupied the space. Just for adults. Remy is a luxurious French restaurant with tons to love. Gourmet crafted food from the chef of L’Assiette Champenoise a 3 Michelin star restaurant and the chef of Victoria and Alberts at What Disney World’s Grand Floridian. The meal comprised of multiple tasting courses carries a theme of freshness with it’s seasonal menu. This is a truly exciting experience for foodies the starts with a complimentary champagne cocktail made tableside and includes artfully prepared dishes that include duck, elk, Kobe beef, langoustine, and sablefish. The restaurant also serves a dessert experience and a champagne brunch. There are four types of staterooms on the Disney Dream. They are all charmingly themed and smartly planned. Concierge family oceanviews come with Verandas but come out a significant price. Booking a concierge room will include signature Concierge services like boarding the ship early, exclusive access to designated areas on the ship, cocktail hours, exclusive character meet and greet opportunities and so much more. Verandas are going to give you the best access to open air. If you think you will be spending a lot of time on the balcony, then I would recommend a Veranda. If you have small children that require napping, having some quiet time out on the veranda while your child is sleeping is perfect. However, if you are like our family with older teens, we hardly stay in our cabin. We typically book in an Oceanview and take those extra cost savings to spend on excursions instead. Ocean View staterooms come with one to two portholes. I love waking up in the morning and pulling the curtain back and looking out at the arrival ports. Inside stateroom features a magic porthole with sea views appearing in real-time, with the added bonus of the occasional character appearance. This is exactly the kind of magical detail and finishing touch that is so prevalent throughout the Disney Dream experience. These are just ten of my favorite things about the Disney Dream. It hardly scratches the surface of the great experiences that await on this very special ship. After you have hit the high seas for a 3, 5, or 7-day cruise on one of Disney’s fabulous cruise ships, you should consider visiting Walt Disney World’s fabulous theme parks for a few days! You will get the best of both worlds in one trip. 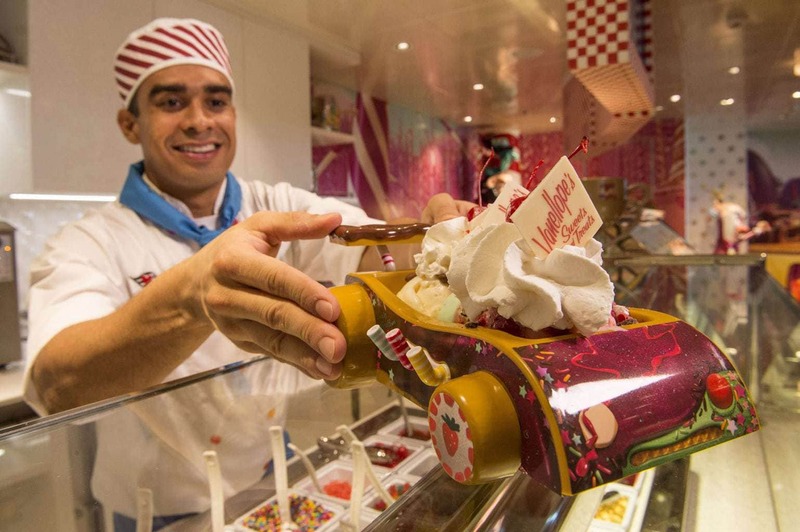 What sorts of experiences do you love about the Disney Dream? Was there anything you were hoping to see on this list? Share your favorites. If you ever need help booking a Disney Land and Sea Vacation, I would be happy to help. I have been a licensed Disney travel agent for over eight years. Feel free to reach out! 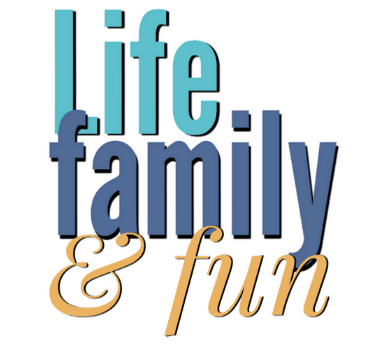 You can also find me in my Family Travel Facebook Group. Disclosure. I was invited to take part in the 2018 Disney Social Media Moms Celebration. Although I received discounted accommodations, all opinions are 100% my own. The Disney Dream is full of entertainment experiences that will amaze and inspire. 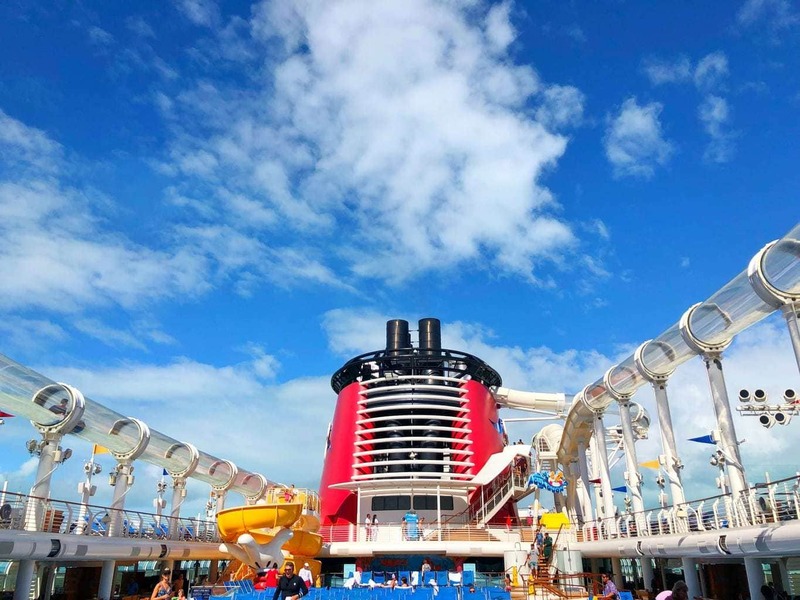 These are the experiences that will make you fall in love with the Disney Dream cruise liner.